The life of the Arizal, Rav Yitzchak Luria Ashkenazi, is cloaked in awe and mystery. His impact on the sixteenth century Tzfat mystics left a profound impact that spread throughout the world. These magnificent stories, culled from the ancient and revered sefer Shivchei HaAri and other authentic sources, give us a small glimpse of his greatness. 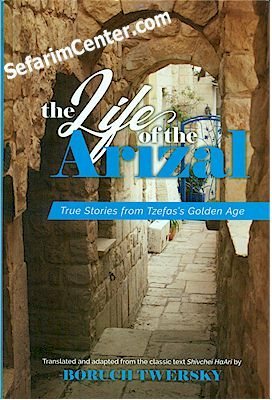 We are transported back in time to the Arizal’s childhood hardships, his spiritual ascent in Egypt, and wondrous stories of his contemporaries such as Rav Chaim Vital, Rav Moshe Cordovero, and Rav Yosef Karo, culminating in the miracles and teachings that enveloped his scant two-year sojourn in Tzfat. Take a step back from today’s noisy and distracting world and enter a sacred time and space where great scholars saw with their own eyes the marvels of the Arizal.